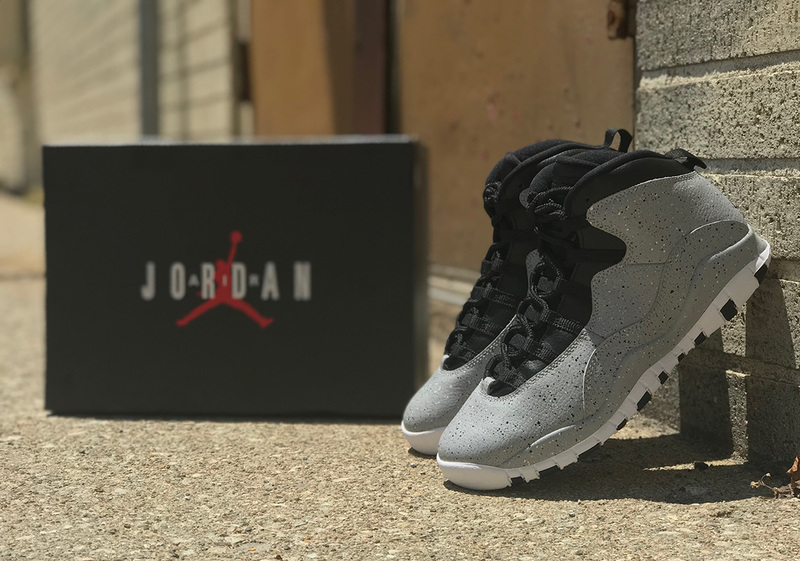 After the colorful “Graduation” Jordan 10s released in June, another new AJ10 colorway is set to hit the market later this month: a “Light Smoke Grey.” The new take on Michael Jordan’s 10th signature sneaker features a light grey upper with a head-turning all-over black and white speckled pattern. A black tongue and throat provides contrast, while a white and black outsole with a red Jumpman adds further detailing to the shoe’s the city-ready look. 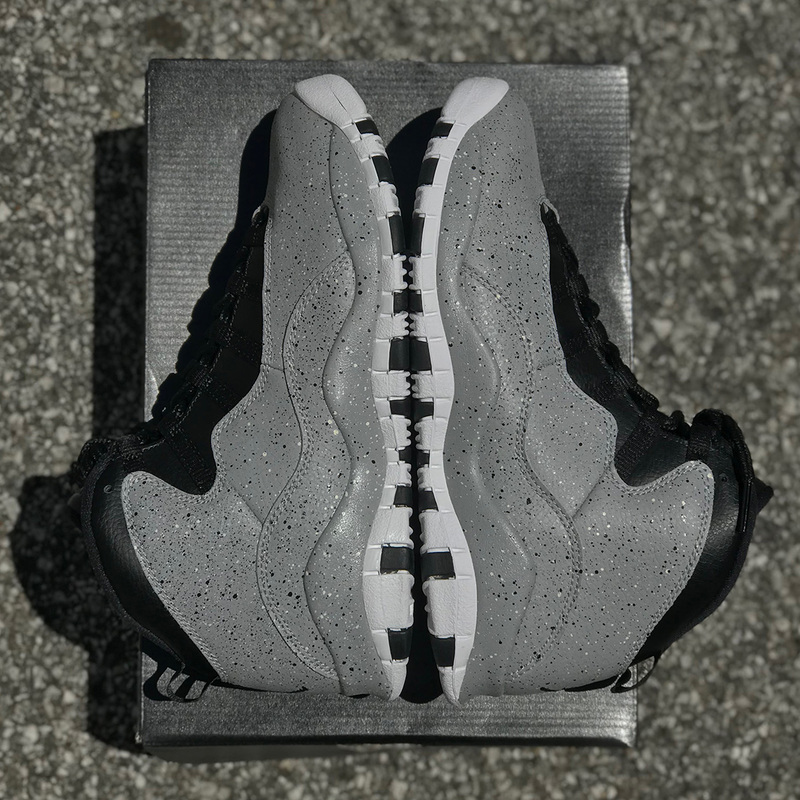 For a final interesting touch, the “Light Smoke Grey” 10s feature mis-matched insoles: white with a 23 hit on the left shoe and black with a red Jumpman on the right shoe. 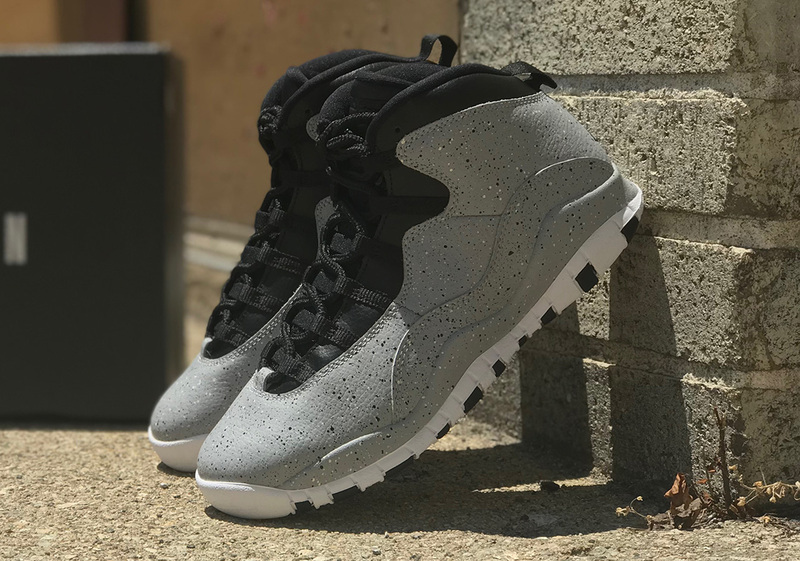 Look for these new 10s to arrive on Nike.com in both men’s and grade school sizes July 29th, with a standard Jordan 10 retail price of $190 USD.